Pre-Qualification vs Pre-Approval: What’s the difference? A lender’s general statement that they will provide financing if certain conditions are met. You will discuss your financial situation with the lender, will they may or may not check your credit. Usually you can get pre-qualified via phone, and the loan officer will rely on the information you provide. More and more professionals in the real estate industry believe that a pre-qualification is not even worth the paper it’s written on. What is a pre-qualification good for? Well, it gives you a look into what you might be able to afford and it’s a first step on the home buying journey. 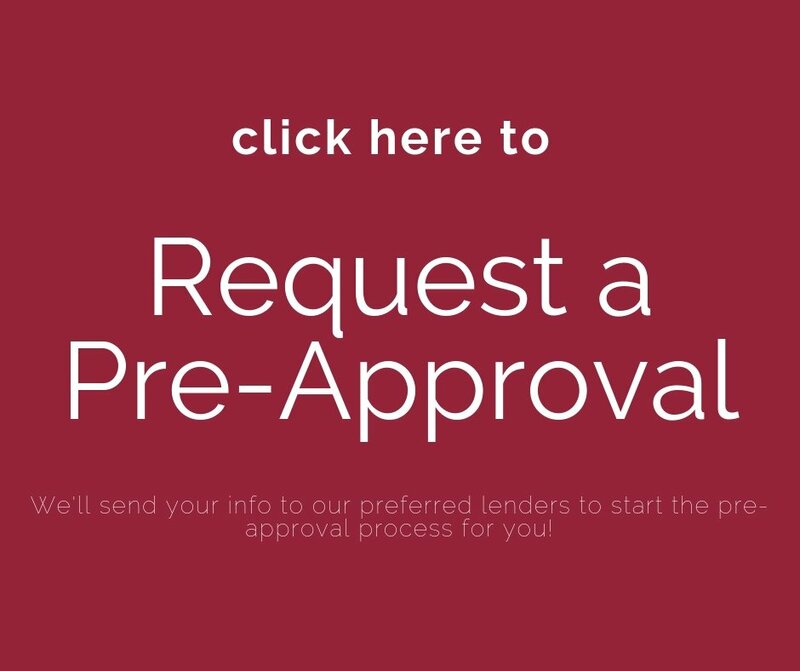 I strongly recommend to get your pre-approval done right after you have received a pre-qualification (be prepared for everyone to call it a “prequal”) and you have chosen a lender. You will have to provide your financial documents and give the lender a much more detailed look into your financial situation. Once you receive a pre-approval from a lender, your chances of a successful closing on your new home are greatly improved. Keep in mind that there are “lending commandments” that should not be broken by you, or it might prevent you from closing on that dream home. What will you use the home for? This might seem an odd question, but how you plan to use the home will determine the kind of loan, interest rates, and conditions of your loan. Will your new home be your primary residence, second or vacation home, or an investment property? I always recommend legal or tax counsel for your investment plans, but especially when you plan to use the newly acquired home for anything but your primary residence. You should really be aware of any tax rules and regulations that pertain particularly to you and how these will impact you. 1. A seller will have greater assurance that you indeed can close on the property that he/she wants to sell. THAT’s powerful and that’s what you need in order to get your offer accepted. 2. A pre-approval will give you a better understanding of how much you can borrow and educate you about the mortgage process. 3. 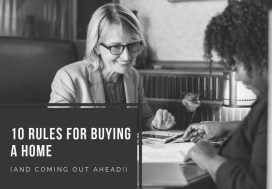 You will learn if there are any credit issues that you’ll have to take care of or any other obstacles that might be in the way of you floating through the mortgage process. 4. Any good lender will be able to lay out all mortgage options to you and interest rates that go with your mortgage type. 5. An informed buyer is a powerful buyer, even if you didn’t win a multiple offer situation (the first time). All your income (salary, benefits, other income). All your debt and expenses. How much cash you have available. This will usually also determine what type of loan you will be able to choose. Your credit history (of course). Shop for lenders.  The good rule of thumb is to get at least 3 offers and then chose the lender that fits your criteria. Keep your pre-approval current. Just because you were pre-approved 6 months ago for a loan doesn’t mean you still are. Maybe you would qualify for more? Maybe you’d qualify for a lower interest rate? Or if your circumstances have changed then you will qualify for less than the original approval. In other words, stay in communication with your lender and see when you might have to consider getting pre-approved again. Ask for your credit score – it’s good to know. Don’t pay ahead for anything (not even application or appraisal fees) even if you are told it will all be credited back to you at closing. This is the lender’s strategy to tie you to THEM and will most likely keep you from shopping other brokers, banks, or offices. Mr. and Mrs. Buyer, you are only getting a temporary and preliminary lender’s stamp of approval. Consider it a “I think we can lend to you,” since the pre-approval is written up by a loan officer and NOT by an underwriter who has the last word in your journey to the home mortgage and finally the home purchase. 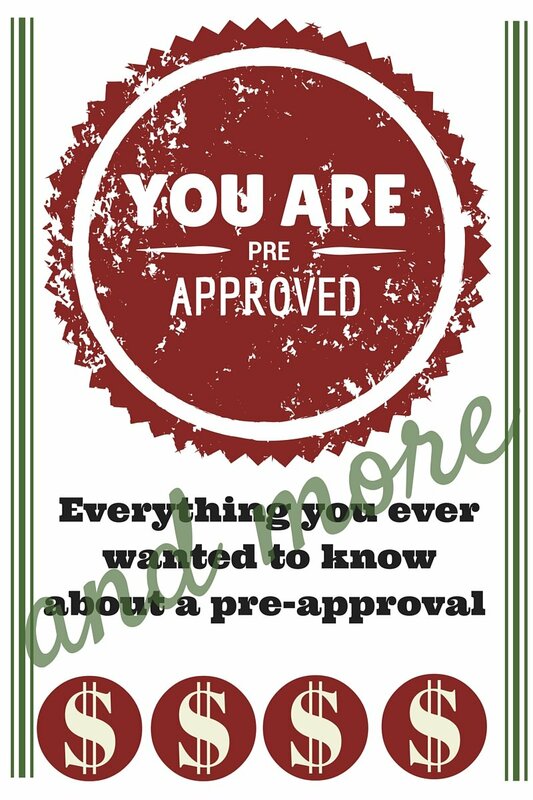 In other word,s a pre-approval is NOT a promise that your loan WILL be approved. Once you have submitted an offer on a home, the process of assessing your ability to repay the loan and the assessment of the property as an investment for the lender begins. Thirty days of pay stubs. Two years of federal tax returns. Sixty days or a quarterly statement of all asset accounts including your checking, savings and any investment accounts. If someone is gifting your down payment or any part of it- you’ll need to provide a gift letter. Different lenders might have additional requirements. Of course, you’ll want to know what your interest rate and your APR will be (this is a calculated interest rate also including closing/lending cost like points, broker fees and other charges). It’s quite interesting to see that some lenders offer a low interest rate but then nickel and dime you to death and the amount of fees expresses itself usually in the APR. You should definitely be aware of your monthly mortgage payments. Many times hazard insurance (also called home owners or property insurance) as well as taxes are included in your monthly mortgage payment. When you see a monthly amount PITI, it means that Principal (your loan amount), Interest, Taxes and Insurance is all rolled into one monthly payment. Tip: If you are currently living below a newly estimated PITI payment, you might want to practice living with the new mortgage payment. In this case getting a pre-qual and a “mortgage – scenario” from your lender would be very helpful. Once you have an estimated PITI amount, pay your rent or current mortgage as you usually do, then set the additional amount to match the estimated mortgage payment aside and see how it feels to you. Ideally, you’d want to do this for about 3 months. Once you are house hunting you won’t have time for that so add this little exercise into your pre-house hunting and investigating process. Does my loan have a prepayment penalty? Will I be able to remove mortgage insurance? When? How does it work? There is a lot to learn, understand and then decide on. When it comes to finding a lender, I like Dave Ramseys words: “Find a lender [service provider] with the heart of a teacher.” You’ll want a good deal, but you also want to understand what you are signing. 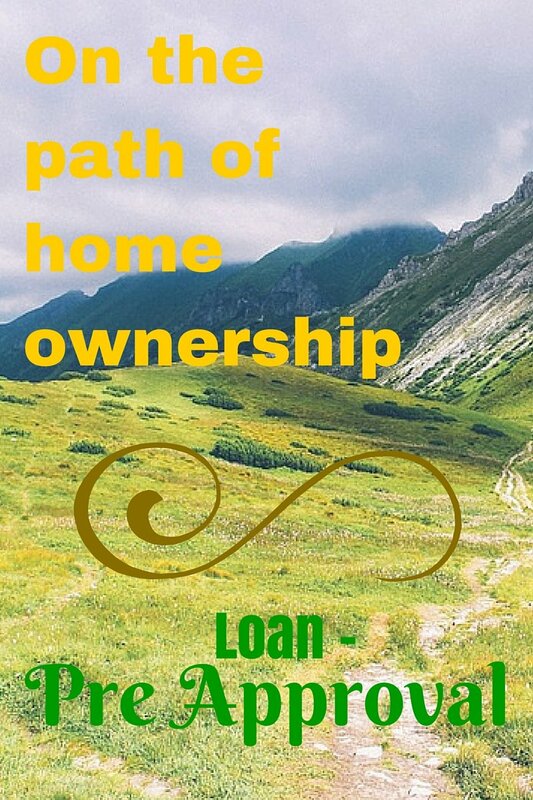 The pre-approval will get you started on the road of loan terminology and of obtaining a loan. You will likely forget most of things mortgage professionals are telling you because it’s a lot of information. However, if you have someone spending the time with you and explaining details, chances are you’ll remember much more than you expect. Have the loan officer explain to you what loan options you have, what costs there are, how much money you’ll have to bring to the table etc.